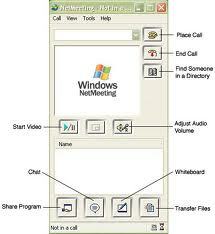 Home » windows » How to chat with using net meeting & command prompt ? 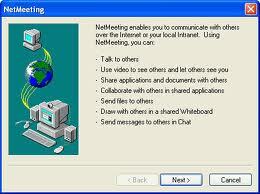 How to chat with using net meeting & command prompt ? so basically in windows all command or all work can be done by cmd ! 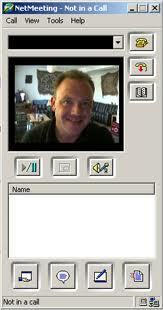 gtalk or skype . but did you know that in xp there is a hidden inbuilt software named "Net meeting"
view, files , and relay text (chat) to open this software you have to type in run : "CONF"
don't enter the same email address in the setup . and 2nd thing is that you ip must be unique ! in the peer to peer network (i'm not talking about internet). okay so, now i'll tell you how to chat in cmd ? so in cmd, there is a simple command called "net send"
you can type this command in cmd window or you can directly type this command in the run dialog box. 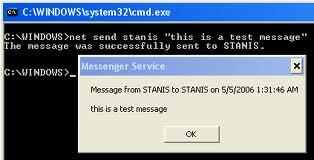 eg: net send 10.10.0.163 "this is a test message"
so now if we create this command in a loop , we can chat on the same window ! this will also run on internet !........ so enjoy... :) and don't forget ........ 'comments' !